- Enter the giveaway via the Rafflecopter widget below - please check Terms & Conditions. - Entry closes midnight Monday 7th April. This is a lovely giveaway! I've been discovering some incredible brands thanks to your blog! Firstly, congratulations on so many followers! I don't read much beauty stuff any more but always read yours as the products you review are always different :) I would love, love, love to win this giveaway! 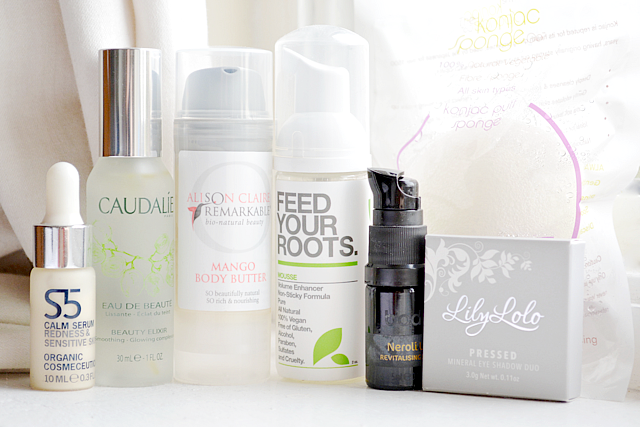 I'd love to try the Konjac Puff Sponge and the Lily Lolo Eyeshadow Duo! Well deserved Ria! Definitely entering this one, some great products you've picked there. Congratulations! I'd most want to try the Caudalie Beauty Elixir - I've had my eye on it for months! I'd really love to try the Konjac Sponge! I've heard miracles! Cngrats on your milestones! :) keep it up! Congratulations! What a great giveaway. I always struggle to find natural hair products that are effective and Yarok is a brand I'd love to try - their volumising shampoo sounds great. i would most like to try the beauty elixir. heard so much about it! The elixir looks mighty fine to me!